I arrived in Athens a week ago and I am proud to say that this time I only brought six books with me. Okay, it turned out it was seven. Plus my kindle. This year I have already failed my reading challenge on multiple occasions, but one challenge I have stayed true to is what I have named My Year With Robin Hobb. In 2018 I have decided to read the whole Realm of the Elderlings series by Hobb, one of my favourite authors. I have finished the Farseer trilogy which opens the series, and loved it. It was exactly the kind of fantasy story I felt like reading at that moment. I am currently re-reading Ship of Destiny, the last book in the Liveship Traders trilogy. I have to say that upon re-reading the whole trilogy, I didn’t quite enjoy it as much as the Farseer one. 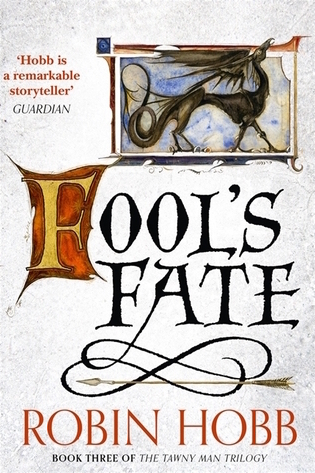 At the same time I have picked up Fool’s Errand, the first book in the Tawny Man trilogy and I am almost half way through the ebook. So, I brought with me the physical copies of the rest of the trilogy because I am weak and couldn’t resist having them with me. The waters rose, submerging New York City. But the residents adapted and it remained the bustling, vibrant metropolis it had always been. Though changed forever. Every street became a canal. Every skyscraper an island. 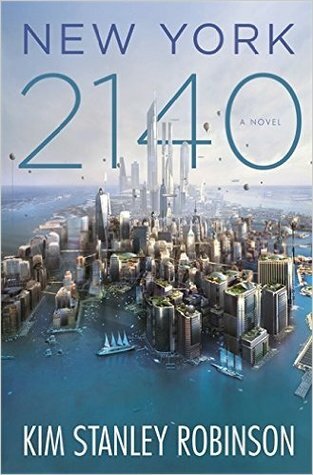 Through the eyes of the varied inhabitants of one building Kim Stanley Robinson shows us how one of our great cities will change with the rising tides. And how we too will change. With a career, a boyfriend, and a loving family, Piper Kerman barely resembles the reckless young woman who delivered a suitcase of drug money ten years before. But that past has caught up with her. Convicted and sentenced to fifteen months at the infamous federal correctional facility in Danbury, Connecticut, the well-heeled Smith College alumna is now inmate #11187–424 — one of the millions of people who disappear “down the rabbit hole” of the American penal system. From her first strip search to her final release, Kerman learns to navigate this strange world with its strictly enforced codes of behavior and arbitrary rules. She meets women from all walks of life, who surprise her with small tokens of generosity, hard words of wisdom, and simple acts of acceptance. 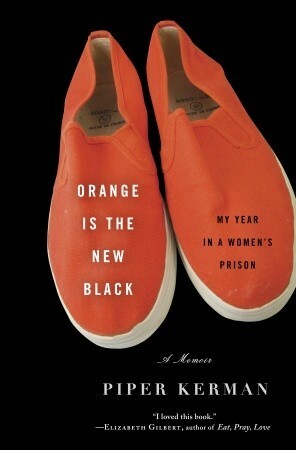 Heartbreaking, hilarious, and at times enraging, Kerman’s story offers a rare look into the lives of women in prison—why it is we lock so many away and what happens to them when they’re there. Marianne and Elinor Dashwood are sisters. Marianne always acts impulsively, while Elinor is painfully sensitive to social convention. When each falls in love, they come to realize that sense must mix with sensibility if they are to find happiness. 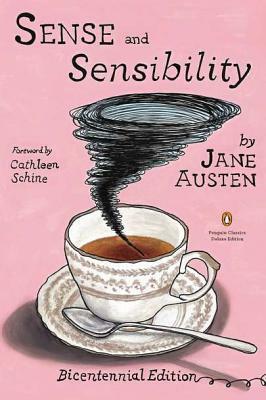 First published in 1811, Sense and Sensibility inaugurated the brilliant career of one of the world’s most beloved literary figures and ranks among her most popular novels. A terrifying encounter with an escaped convict in a graveyard on the wild Kent marshes; a summons to meet the bitter, decaying Miss Havisham and her beautiful, cold-hearted ward Estella; the sudden generosity of a mysterious benefactor-these form a series of events that change the orphan Pip’s life forever, as he eagerly abandons his humble origins to begin a new life as a gentleman. 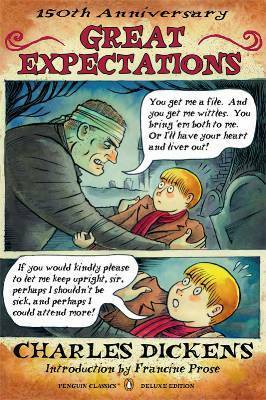 Dickens’s haunting novel depicts Pip’s education and development through adversity as he discovers the true nature of his great expectations. Published nine years before Dickens’s death, it remains one of his most celebrated works. Wuthering Heights is a wild, passionate story of the intense and almost demonic love between Catherine Earnshaw and Heathcliff, a foundling adopted by Catherine’s father. After Mr Earnshaw’s death, Heathcliff is bullied and humiliated by Catherine’s brother Hindley, and wrongly believing that his love for Catherine is not reciprocated, leaves Wuthering Heights. Returning years later as a wealthy and polished man, he proceeds to exact a terrible revenge for his former miseries. 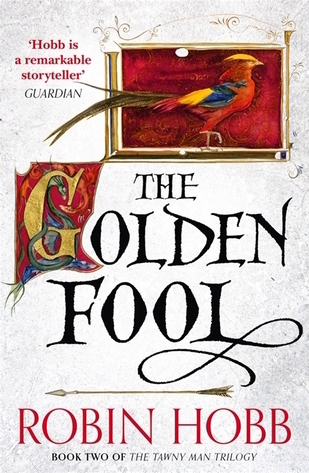 The action of the story is chaotic and unremittingly violent, but the accomplished handling of a complex structure, the evocative descriptions of the lonely moorland setting and the poetic grandeur of vision combine to make this unique novel a masterpiece of English literature. So, these are the books I carried with me, adding weight in my suitcase that – frankly – could have been avoided easily. Especially, considering how I have spent a week in Greece already and haven’t even finished one of them yet. Oh well, I tried to bring fewer books at least. That’s something.